"Premium Reports" (LB-0456) and "Wage Reports" (LB-0851) are mailed to employers each calendar quarter. If you do not receive a quarterly report, you are not relieved of your responsibility to submit reports and pay premiums due on time. You can obtain reports by calling the Employer Accounts Office in your area or by calling Employer Services at (615) 741-2486. 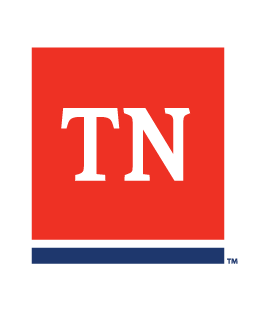 Tennessee employers are required to use the "Premium Report" to report the amount of total gross wages and total taxable wages paid to all employees, as well as the number of employees working for the employer as of the 12th of each month of the applicable quarter. Employers are also required to report each employee’s social security number, name and total gross wages on the "Wage Report". Quarterly reports can also now be filed by the Internet. We call our online reporting system TNPAWS (TN Premium And Wage Reporting System). You'll need the access code that will be printed on your quarterly premium report to register a user account and file online. The address is https://tnpaws.tn.gov/Forms/Welcome_TNPAWS.aspx. Please note that to access TNPAWS you do not type "www."